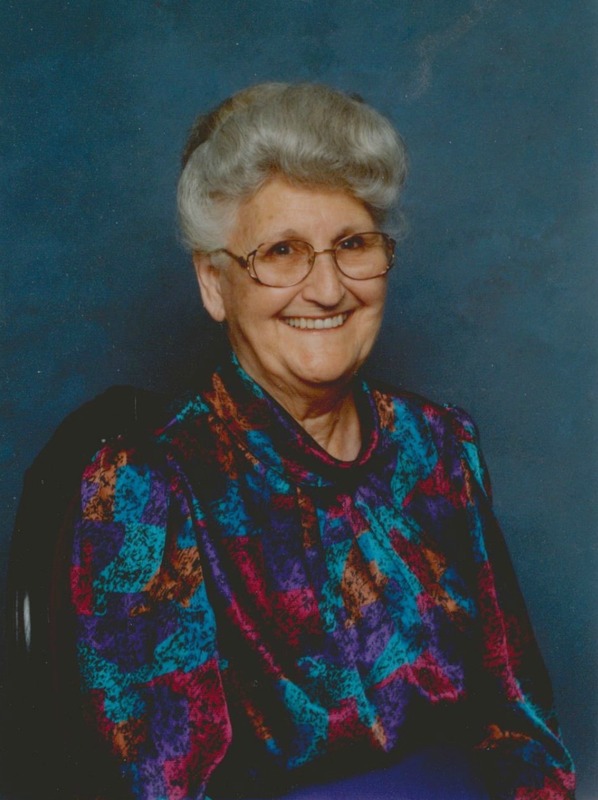 Ruth Louise Ensign entered her rest peacefully on the morning of February 25th, 2018 in Mesa Arizona at age 90. Ruth is survived by her 5 children, Kathleen Kesler (Mike Kesler) Karen Woody (Ris Woody), Sherrill Suarez, Kenny Lyons and Lois Kirtley (Arthur Kirtley) as well as her 95 Grandchildren. She is preceded in death by her husband Walter Ensign, 2 brothers, 3 sisters and her parents. Ruth was born on April 11, 1927 to Arthur and Pearl Wellman in Canton, Ohio. She graduated May 24, 1945 from Canton Township High school. She married James R Lyons on June 22, 1946 and started a family; Kathy, Karen and Sherrill. The family moved to Arizona in 1953 and completed the remainder of the family with Kenny and Lois. In February of 1958 Ruth was baptized at West Phoenix United Pentecostal Church where she was a Sunday school teacher, sunday school bus driver and shared her love for God. Ruth and her husband of 28 years owned and operated 2 nursing facilities in South Phoenix where she was a hard working woman caring for others. Over time Ruth moved to Chandler Arizona and became the Director of Gilbert Senior Center in Gilbert, AZ. In 1992 Ruth married her High school sweetheart Walter Ensign in Mesa, Arizona. As the years went by Ruth enjoyed her Grandchildren, Great Grandchildren, and Great Great Grandchildren. Ruth made sure everyone felt her love. A Visitation will be held from 6:00 – 8:00 PM, Thursday, March 1st at Bunker’s University Chapel, 3529 E. University Drive in Mesa; Funeral Services will be at 11:00 AM, Friday, March 2nd at Phoenix Revival Center, 2101 W. Encanto Blvd in Phoenix. I am so very sorry for the loss of Grandma Ruth. Even though we weren’t related, she wanted us to call her Grandma Ruth. We gladly did. We loved her so much. When I got married, I gladly asked her to be my grandma in my wedding as my own grandma couldn’t be there. It was an honor. She wrote me a letter after my mom had passed away. I will treasure that letter always. She will be missed very much.